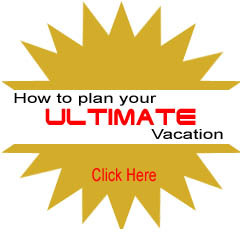 Welcome to the best resource for luxurious and exciting luxury yacht charter vacations. For immediate assistance call 800-478-2029. 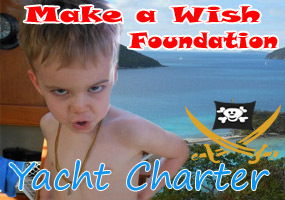 Treat yourself to a "beautiful, fun-filled and relaxing" private yacht charter vacation. 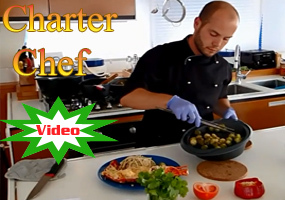 Your all-inclusive fully crewed yacht charter include a captain, staff, personal gourmet chef, all meals, snacks, water sports, toys and alcohol. Everything you'll need for a perfect trip is provided and the only thing left to do is you to enjoy a great holiday with family and friends. A guest’s first ultimate yacht charter decision in planning a fully crewed private charter experience is to choose the best yacht charter broker. Having first hand knowledge of the best destinations locations around the world is even better when your broker also has the experience of a veteran private charter captain and agent for 25 years. Our first hand knowledge of the islands has always given us the upper hand over many other agents who are merely reading you the brochure instead of having real life, hands-on experience. Rest assured that when you call Barrington-Hall your call will always be answered by a live person 24 hours a day, 7 days a week. Try us out today! Call 800-478-2029. If it is a unique holiday experience that you seek then let the Barrington-Hall staff be your first choice for yacht charter planning assistance. 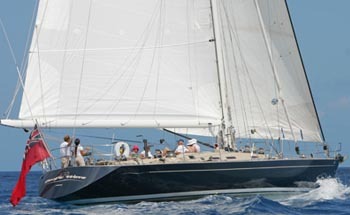 A great yacht charter company knows exactly which vessels, captains and crews to suggest to you. We only offer fully crewed power boat and catamaran sailing vacations and take the time and effort to know the yachts and crew. If a crew and captain is not not good enough for us, then that crew is definitely "not good enough for you"! 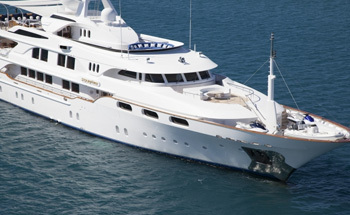 Have you considered booking a corporate function on board a mega yacht? Would you like to live lavishly while visiting the Monaco Grand Prix? Give us a call, relax and we will take care of the rest. With over 25 years of yacht charter experience means we have the knowledge and expertise over other yacht brokers and can offer a lot more to our guests. Guests can reach our founder Andrew Buys personally 24 hours a day, 7 days a week. Got Questions? 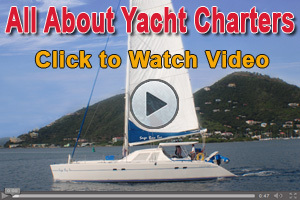 If you are considering a private yacht charter call Andrew on 800-478-2029. Would you like to book a yacht vacation? Contact us today and let us match you with the right yacht, crew and the perfect destination. 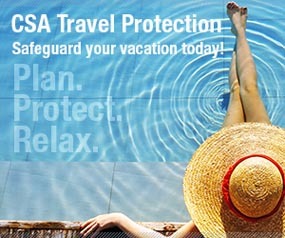 We want you to have the best vacation you have ever had and feel the most relaxed you have ever felt. 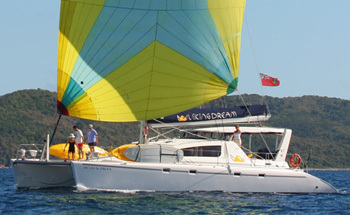 Many luxury yachts of this type are capable of maintaining speeds in excess of 20 knots. A luxurious yacht vacation that you will never forget. 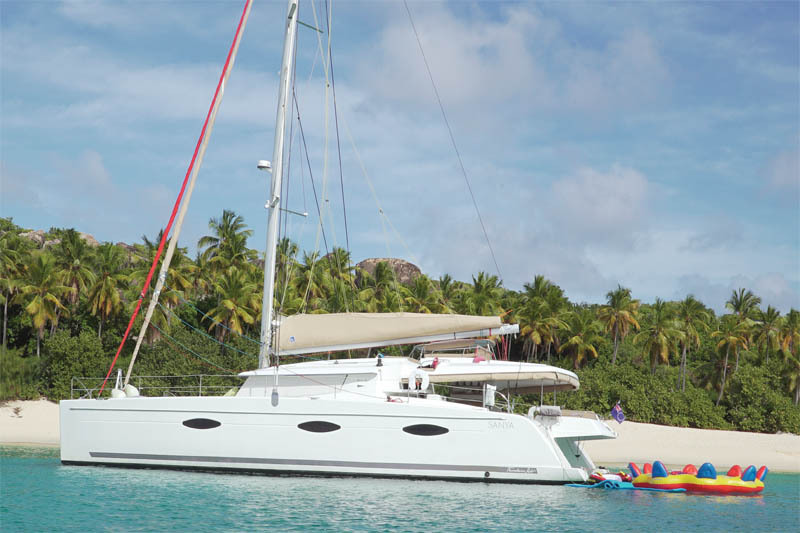 The modern catamaran sailboat has become extremely popular for its stability, safety & privacy as a crewed luxury yacht. An excellent choice for the luxury-oriented vacationer. Combining exhilarating performance with a luxury yacht, and ability to motor at speeds of up to 10 knots. The Virgin Islands are a magical Caribbean archipelago of more than forty islands and cays of boating pleasure. Located about 60 miles east of Puerto Rico and volcanic in origin, the British Virgin Islands (BVI) feature rugged mountain peaks rising from the blue Caribbean Sea. Long called the West Indies, the overall area is now commonly referred to as the Caribbean, a name that became popular after World War II and is perfect for fully crewed luxury yacht charters of all types. The Caribbean Virgin Islands are some of the most beautiful island places to visit in the world. The underwater landscape and animal life is second to none while the food and culture are unique. Click below for more information on snorkeling, diving and other things to do on your private yacht charter vacation. Chartering a power boat or catamaran in the Cyclades you'll a tropical vacation as you sail into a group of islands of varying sizes scattered over the deep blue waters of the Aegean. Some of them are well-known vacation spots both to the public at large and the international “jet set”, while others remain little known and scarcely figure on the tourist scene. Greece makes an ideal Greece yachting vacation destination for travelers with the most varied tastes. Your fully crewed private yacht charter vacation’s daily schedule is usually finalized with your captain when you first board your private yacht. One of our many goals is to provide you with as up-to-date information about your Bahamas yacht destinations location as we can, so that you board your fully crewed boat, you have a good about of knowledge about you where to go, what to do and when to do it. We will gladly share our personal experiences and understanding of the nuances and romantic places in the Bahamas. The Cote d'Azur (French Riviera) has a glamour all its own. From Marseille to Portofino, the Mediterranean coastline is laced with beautiful bays for a tropical vacation cruise, bustling towns, designer boutiques, excellent restaurants and legendary beaches. Cannes is lined with grand hotels and elegant promenades while Nice, a mecca for artists, is charming with its own narrow streets and colorful markets. 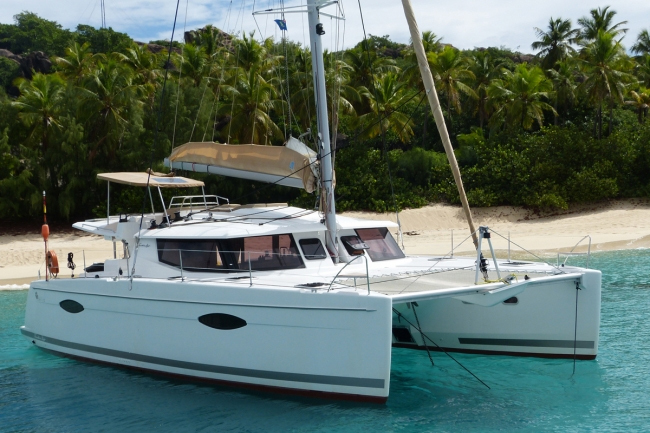 Seeking a catamaran sailing vacation or a luxurious charter on private power yachts? You have complete control of your luxury powerboat or catamaran sailboat charter's daily itinerary and can plan your own destinations. Cruise to distant islands or destinations of your choice while on your luxurious vacation at the pace you wish to travel. 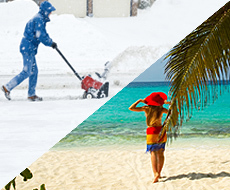 Your crew caters to every your every need and guides you to exotic locations. 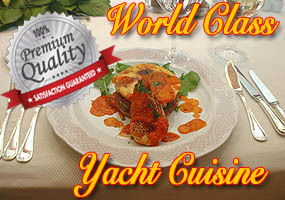 Cruise with a personal chef on board who prepares every meal of delicacies of your own choosing. During any yacht vacation from Barrington Hall you will enjoy water sports including snorkeling to scuba, kayaking to water skiing and fishing to sunbathing. Everything you want to have a great time with families and friends. Yacht vacations are for everyone and are available in all price ranges. We are committed to providing personal, responsive service to meet your every need, answer your every question and finalize every detail so you can focus on the pleasures in store for your memorable charter holiday. 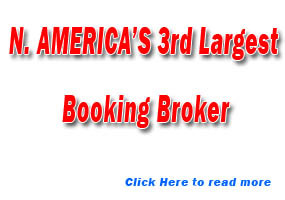 Call us at 800-478-2029 Ask us about the ultimate family, adult or corporate event charter. Avoid lines and 3 hour check-ins. 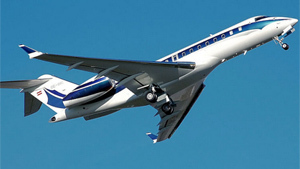 Instead of a congested terminal with unavoidable delays, exhausting security lines and annoying passengers, a private jet charter enables you to swiftly and without hassle board a private jet that is ready and waiting for you to board. No more missed connecting flights or flight delays; no more 5 am departures or 2 am arrivals. Let us arrange your private jet charter to take you to your private yacht charter. It’s luxury and comfort from beginning to end.